A very early work by Hans Scherfig, circa 1938. Scherfig is recognized for both his artwork and writings in Scandinavia. 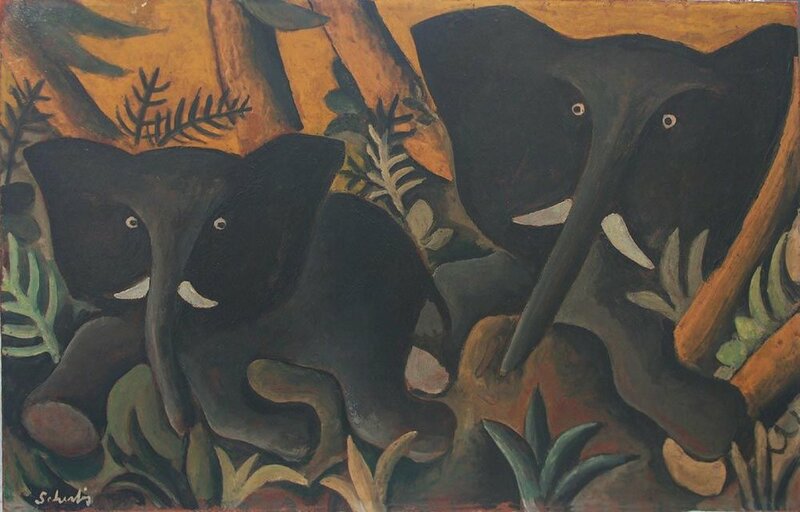 His paintings depict jungle habitats that are seductive in their naivete. His work is difficult to come by, as most families pass his paintings down to succeeding generations. He is one of Denmark's most beloved painters. The work is signed to the backside ScHERFIG 1938, and has been recently reframed. H 22.25 in. x W 32.5 in. x D 2 in.